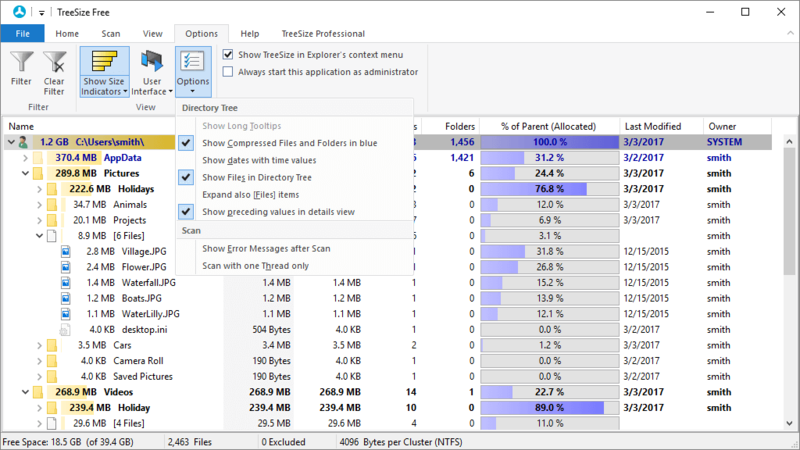 Open multiple folders simultaneously in TreeSize Free directly from Solution Explorer or Code Editor window. Open multiple files and/or folders simultaneously in TreeSize Free directly from Visual Studio's Code Editor window and / or Solution Explorer. If you like this FREE tool please take a few seconds out to give a star rating below and/or help others. Similar "Open In" VS extensions can be found here. Open multiple files and/or folders simultaneously in TreeSize Free. Warning if attempting to open one or more file types whose extension is not typically associated with TreeSize Free. The list of typical file extensions is configurable in Tools > Options. 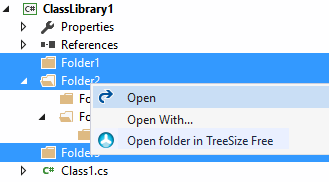 Option to supress the warning message if attempting to open a file whose extension is not typically associated with TreeSize Free. Warning if attempting to open a large quantity of artefacts. The quantity is configurable in Tools > Options. The Visual Studio IDE has an outstanding and feature-rich editor for a wide range of file types, even in the free "Community" editions, which can be overridden to open a third-party application. You only occasionally wish to use a specific alternative editor. You have overriden the default Visual Studio editor to a particular application, but need easy IDE access to a second particular editor. Certain files (e.g. gigantic size files, or files with complex content) may be better suited in an alternative editor. Pair programming scenarios where each developer has different preferred editor. You are more familiar with a certain editor's features, or simply have a favourite editor.